The organisers of RumFest have launched London Rum Week, a week-long celebration of the spirit across bars in the capital. The 12th RumFest will be the lead event for London Rum Week, which runs from the 15-21 October 2018. Activities that will take place across London during the week include the launch of Hampden Rum at Usain Bolt’s Tracks & Records restaurant, a Q&A with film producer Bailey Pryor, and a showcase of rare rums and cigars at La Casa del Habano with Richard Seale. RumFest will take place on 20-21 October at the ILEC Conference Centre, with more than 400 rum brands, masterclasses, seminars and tastings. Brands holding masterclasses include Angostura, La Hechicera, Appleton, Flor de Caña, and Real McCoy. 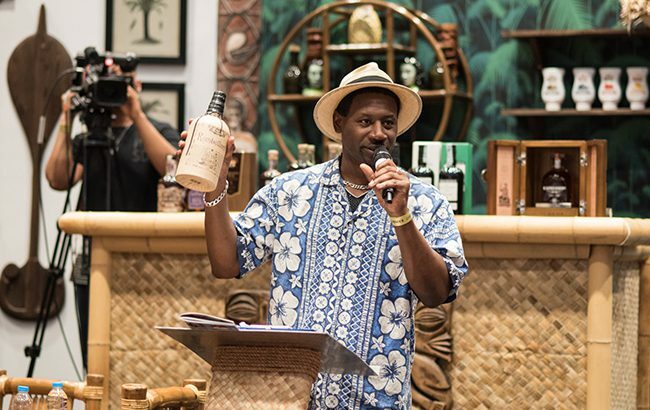 A new addition to the festival will be a one-off tasting, held by RumFest founder and global rum ambassador Ian Burrell. The tasting will showcase five rare rums with a combined retail value of £1,500. “RumFest is a fantastic chance to get the inside track on the next big thing in rum as well as try some hidden gems on the market,” said Burrell. RumFest tickets are available from £44.95 per day, which covers entry to all masterclasses and seminars.